£20.16 each & FREE Delivery in UK. 1. 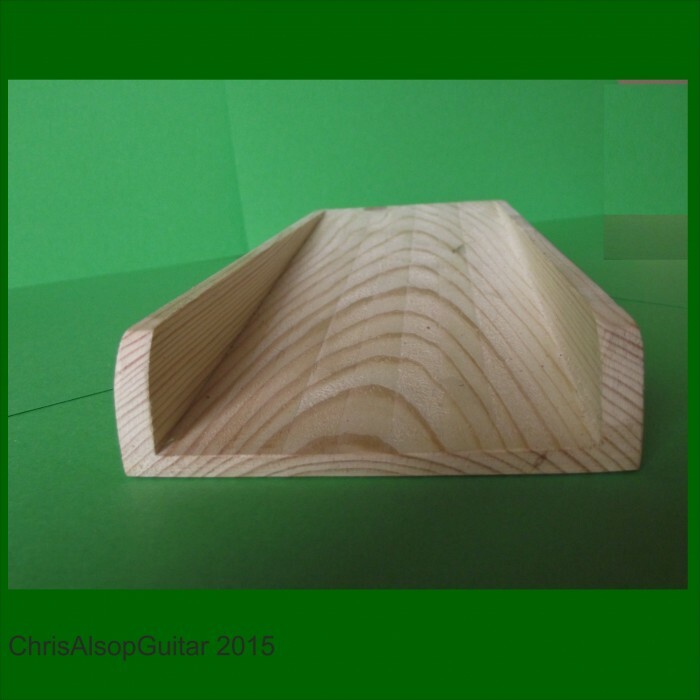 The part that the guitar neck sits in. 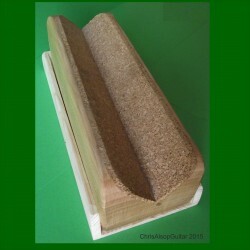 This is a "V" shape cork surface attached to a heavy block made from Beech Hardwood. 2. 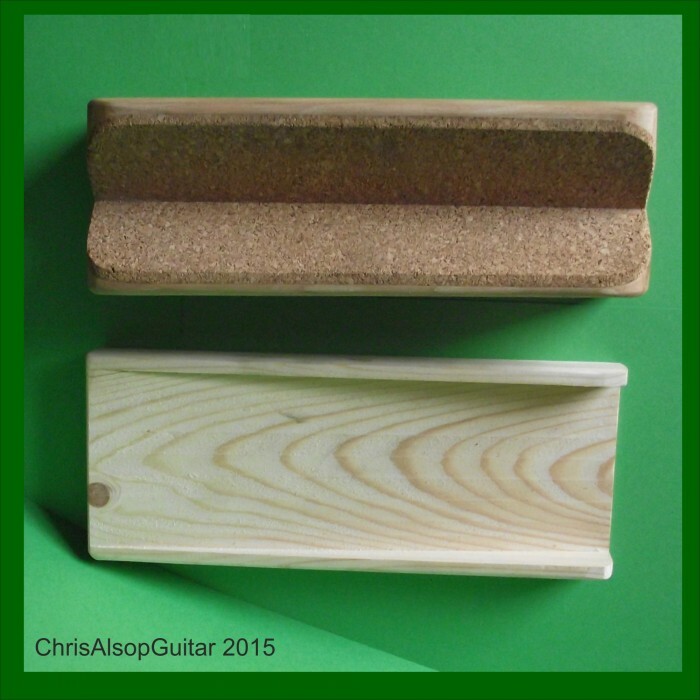 A softwood ramp. This provides an incline of about 20mm in 240mm. 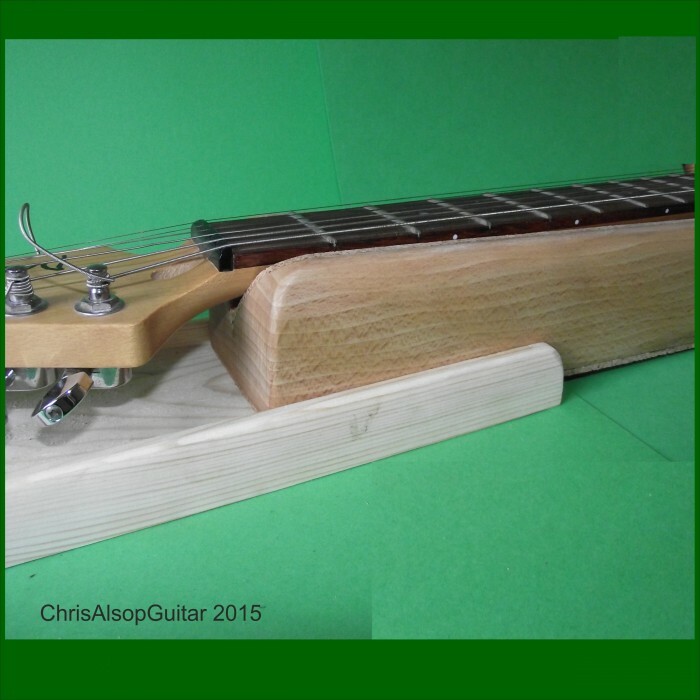 The hardwood neck rest can be placed on the ramp to give slightly angle the neck upwards. 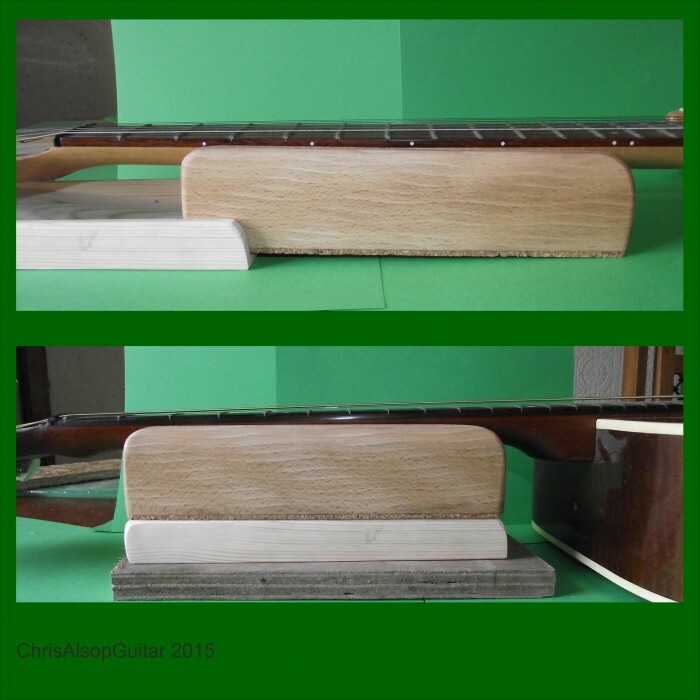 The back of the neck sits in a stable position in the V and the cork provides a good surface that will not scratch the guitar and not let it slip. I have also put a layer of cork across the base of the hardwood rest, so it does not slip on the ramp or whatever surface it rests on. 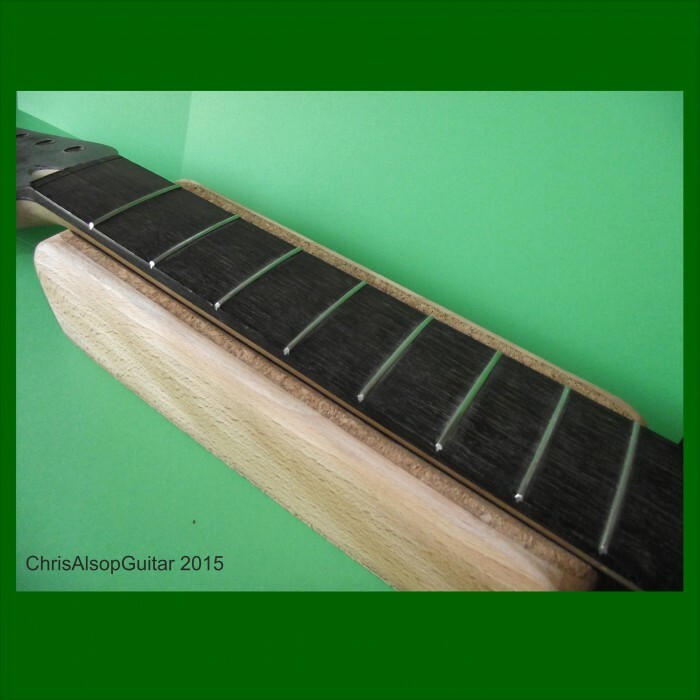 It takes care of the supporting interface to the guitar neck - the height it supports the back of the neck is about 40mm. 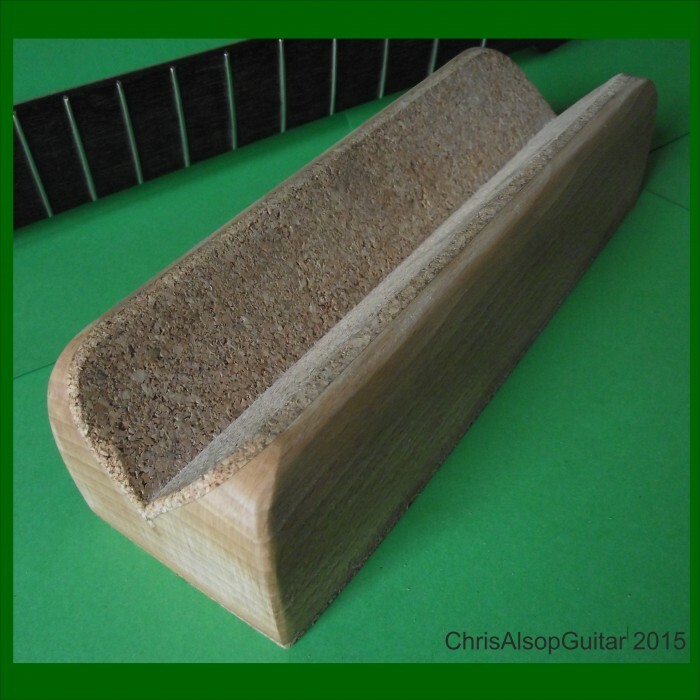 further packing (simple sheet wood) to get the height to match a particular guitar may be needed.